We do everything from your basement to your roof. If we don't do it, we know people that can. Friendly,professional service always. 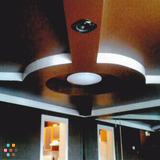 Check out our custom ceiling, comes complete with light and quality sound. Professionally designed speakers. If you can dream we can build it for you. Excellent Fast Painter With Crew / Available Now ! Experience and knowledge painter, quality results.